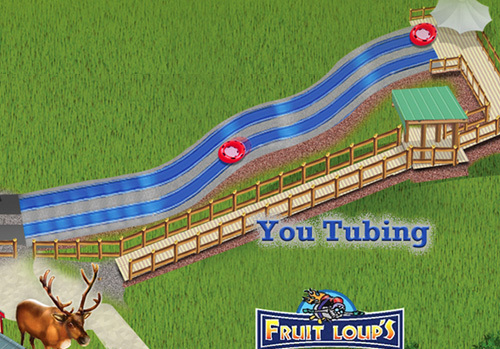 You Tubing is our summertime version of a wintertime favorite: downhill sliding, just like with sleds or saucers on snow. A carpet conveyor lift makes the uphill trek easy, and the inner tubes in saucers on bristled mats make the downhill slide smooth, fast, and fun. Guests must be able to stand on the uphill conveyor lift, and to ride independently in an inner tube while maintaining proper riding posture. MUST BE 39″ OR TALLER TO RIDE.